If it can be painted, we will paint it! If you're looking for the perfect paint job for your home, than you absolutely must give Jennifer and her team at Tennyson Paint a call! A distinctly unique Kirkland company, Tennyson Paint was formed after their sister company, Tennyson Homes had a bit of a problem. Read on to find out how they found a perfect solution, and strive to give the residents of Kirkland the best coverage possible. JT (Jennifer Tennyson): After almost 20 years in the advertising/media industry, I made the decision to assist my husband with a challenge he was facing regarding his home construction business. It was becoming nearly impossible to find home painters (either interior or exterior) who would do as good a job as we needed them to. And on top of that, they were never available. So, I thought - well I'm good at painting, why don't I start our own company? And that's where it began. JT: Tennyson Paint is an upmarket residential paint company specializing in both interior and exterior jobs. We have a motto: if it can be painted, we will paint it! We have painted surfaces ranging from traditional walls and trim work to detailed millwork, concrete and even masonry. You name it, we'll paint it. Each of our painters is highly trained to be meticulous and thorough in their work, never to cut corners, and produce a finished product that they'd be proud to have in their own homes. We take great pride in what we do, and strive to create perfectly painted spaces that our clients will be satisfied with for years to come. Q: How long have you been in Kirkland? JT: My husband has been building homes in Kirkland for decades. We used to live in the Market neighborhood, and feel so at home here! Q: What helps make your business uniquely Kirkland? JT: People in Kirkland are friendly and kind, nod and smile at you as you walk by, and consistently work together to create a community, which continues to give Kirkland that small-town feel. Being from a small town myself in Kansas, I grew up knowing and feeling what that small-town vibe is like, which is why I connect with Kirkland so easily. It's that sense of community that we bring to every job we work on, which I believe is uniquely Kirkland. Q: What is your favorite thing in Kirkland? JT: My favorite thing in Kirkland is for sure walking down Waverly Way, cutting down to the waterfront, and strolling along the shoreline admiring the views of Lake Washington. Not only is Kirkland the quintessential small-town, it also has this "beach town" feel because we're on the water, and being near to it brings a big smile to my face every single time. 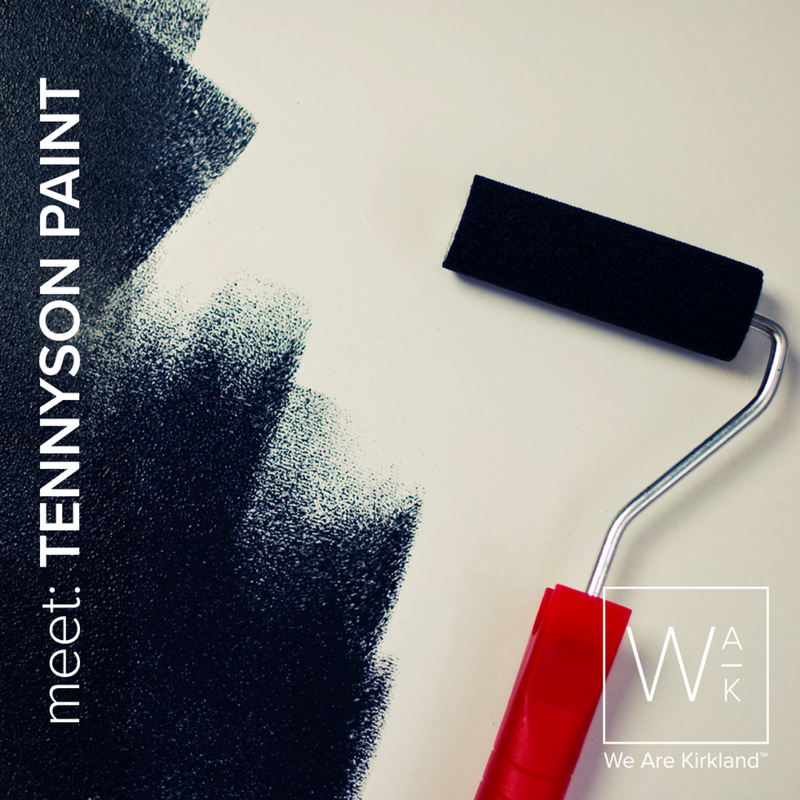 Learn more about Tennyson Paint on their website.